Dan specializes in wealth advisory, including retirement planning, debt management, social security and business expense recovery. With over thirty two years of experience in the financial services arena, Dan has been providing individual, business and professional practice owners innovative solutions to their financial needs. Many Central Ohioans have attended Dan's educational workshops on Social Security Maximization, Getting Out Of Debt and Successful Money Management. Other areas of expertise include portfolio management, financial and estate planning. He is well versed in most qualified and non-qualified retirement plans and has served as president and founder of D.A. Schwenker & Associates, Inc. since 1993. 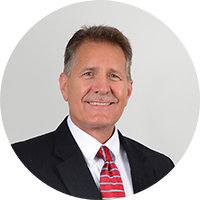 With over thirty four years of experience in the financial services industry, Ken has focused his expertise in Medicare, asset protection, retirement planning, and social security providing solutions to business and professional practice owners and the senior market. 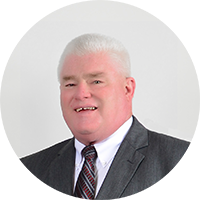 With his extensive public speaking experience and his expertise in asset protection and the long-term care markets, Ken has partnered with several major financial institutions throughout five mid-western states. Thousands throughout the Midwest have attended his educational workshops.. Ken is a graduate of The Ohio State University and is a member of the National Association of Life Underwriters (NALU). He is also president of Ohio Group Insurance Consultants, LLC.